The Hotel de Ville in Gruyere is a 3-star hotel located in the center of this car-free historical city of the southern part of the Canton Fribourg. 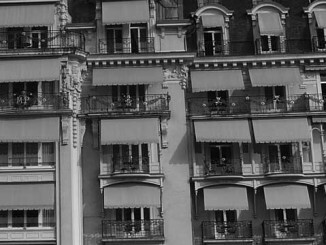 The hotel is a 10 minutes drive from the Bulle exit of the highway and a 10 minutes walk from the Gruyere train station. 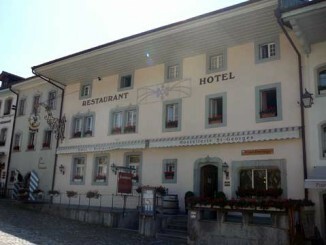 Hostellerie St-Georges is a 3 star hotel located at the center of the medieval village of Gruyere near Bulle. 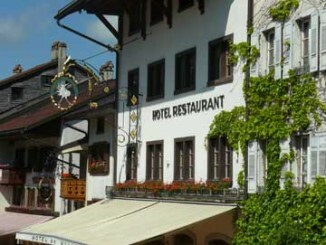 It is a five-minute walk from the Gruyere train station and 10 minute drive from the Bulle highway exit. Situated in the heart of Gruyere region in the center of Bulle, the beautiful Hotel Rallye is a 3 star hotel that boasts 28 double executive rooms, 4 double superior rooms, 12 double rooms, and 6 single rooms. 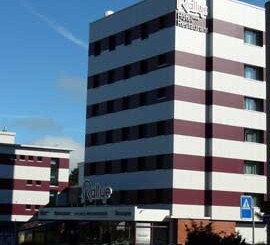 The hotel is member of the Best Western hotel chain and conveniently located close to both to Bulle highway exit and the Bulle train station. Ideally situated in the canton de Fribourg, the newly built 3 star Hacienda Hotel is located in Givisiez, a suburb of Fribourg. The hotel has 40 fully equipped rooms, each having a clean and comfortable double bed, cable TV, and free WIFI. Guests may choose from among the wide variety of room options, including single, double, triple, family or disabled rooms, which make this an ideal hotel for both leisure and business activities. 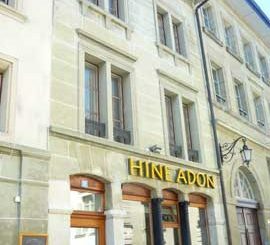 The newly renovated 3-star Hotel Hine Adon in Fribourg Switzerland is located in the historic part town of town of Fribourg. It boasts well-equipped one-room or larger apartments that offer a kitchenette or kitchen, shower/toilet, TV and internet. Centrally located, the hotel is just minutes away from the main station and is easily accessible by public transportation and car. 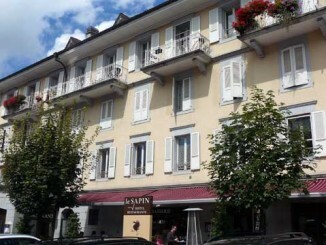 Completely renovated in 2011, the 3-star hotel Le Sapin in Charmey offers 15 modern rooms and 4 apartments in a small charming mountain village located in the heart of Gruyere. The 3 star Hotel Au Sauvage is located in the old town of Fribourg and can be reached in a ten minutes drive from the Fribourg Nord and South highway exit. If you arrive by train, you should take the bus number 4 at the train station to reach the hotel. 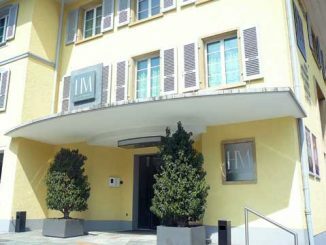 Hotel Murten is a charming and modern 3 star hotel located in the center of Murten / Morat, a five minutes walk from Murten train station and a five minute drive from the Murten exit on the A1 highway. Near Lake Murten, the Auberge de la Croix Blanche is a small family 3 star hotel located in the quiet village Villarepos, a ten-minute drive from the Murten or Avenche exits of the E25 highway.